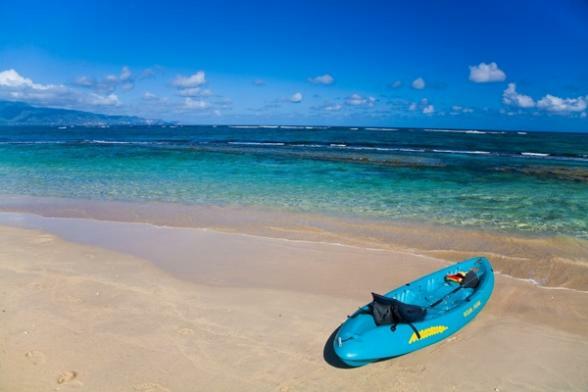 Once voted Best Beach in America by Dr Beach, Kaanapali is a 45 minutes taxi ride from Maui Airport. It's golden sands and swaying palm trees as far as the eye can see. A very popular destination for visitors, the beach does become quite busy but never over crowded. The hotels along the beach are connected by a paved walk way that wind its way along the shore and passes by open-air restaurants, quaint bars and even a small beachfront shopping complex. In the winter period, sit on the beach and watch the whales play and frolic in the crystal clear ocean. 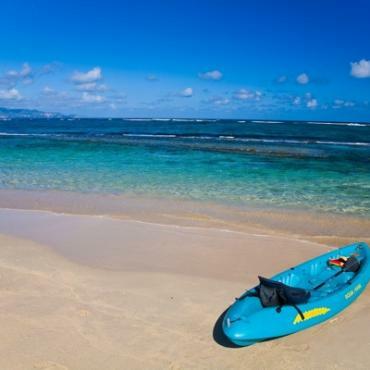 Call Bon Voyage for expert advice on where to stay on Kaanapali Beach. Not the most fancy, but certainly the hotel with the most heart. Their motto is 'once you stay, you're family.' That says it all. Resort facilities with an intimate and tranquil setting. We love the stretch of beach here. Enjoy the panoramic views of Kaanapali Beach from your private lanai.